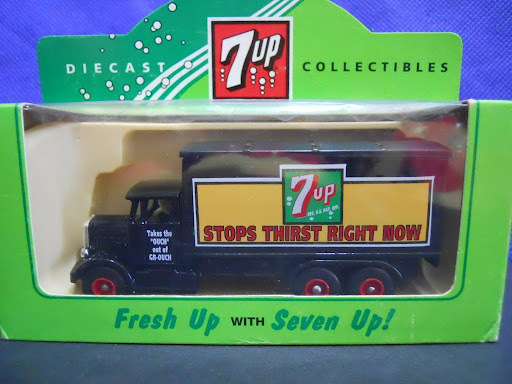 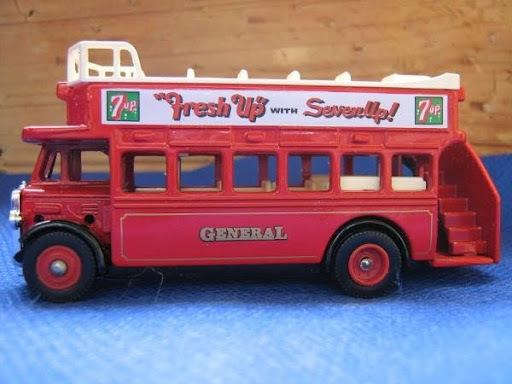 Lledo~ 1937 Scammel 6-Wheeler "7-UP"
Made in England; high-quality die-cast model; superb details; very collectable; in original box; box does show some minor scuffings on the edges. 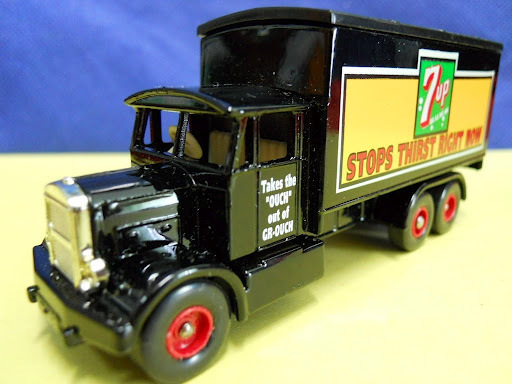 In 1929, C.L. 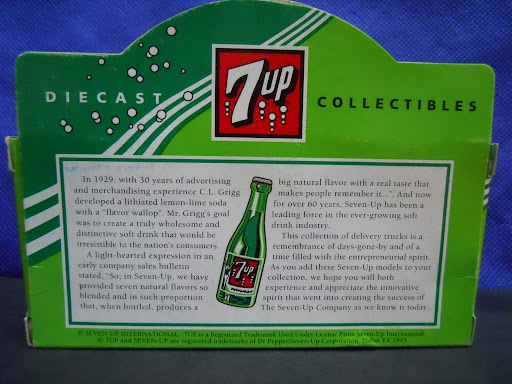 Grigg developed a lithiated lemon-lime soda with a “flavour wallop”. 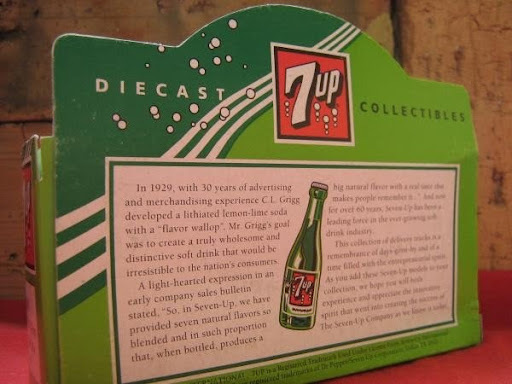 Mr Grigg’s goal was to create a truly wholesome and distinctive soft drink that would be irresistable to the nation’s consumers. 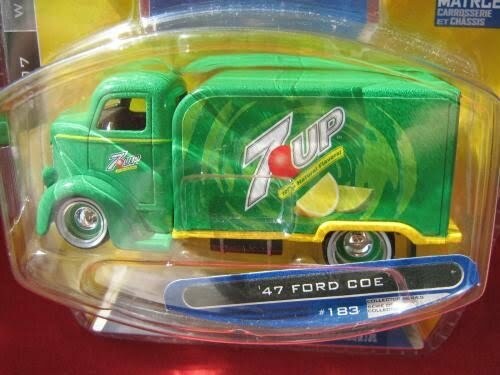 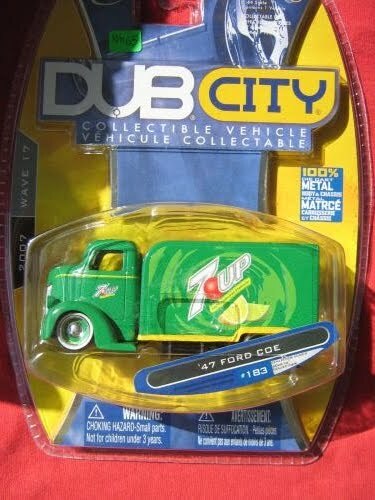 Jada Dub City ~ ’47 Ford Coe "7Up"
from the Wave 17 Series 2007; 1:64 Scale; 100% diecast metal body and chasis; still mint & unopened in blister pack. 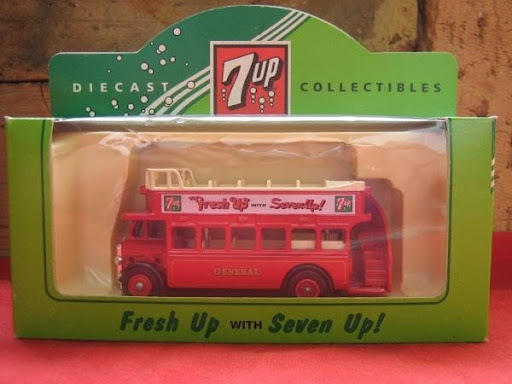 Lledo ~ 1932 AEC Regent Open Top Bus "7-UP"